Available from Acryloc Building Products, Roofcote CRC is a two-component commercial roof coating system that includes CRC Tint Base and one of a range of colour Tint Pacs. Available from ANC Bird Control, Bird Ban shock tape is a flexible and adaptable bird deterrent. CustomCote will have a display stand in the 2010 HIA Home Show, taking place from July 30th - August 1st 2010 at the Brisbane Convention Centre. Available from Enviro Acoustics, NRC architectural acoustic panels are quick and easy to install and remove as they simply click into place using concealed fittings. Available from Everdure, UFEE51 freestanding cookers occupy less space in the kitchen and feature 4 electrical hotplates, 2 x 2.0kw, and a residual heat indicator. Kennards Lift & Shift is a specialist equipment hire company that has expanded their conveyor fleet to include a range of mini and maxi conveyors. 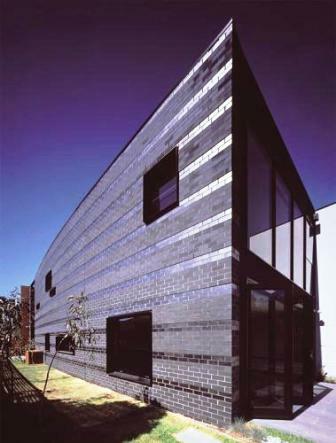 From PracticaMMC, MasterWall is the first external wall cladding system in Australia to demonstrate compliance with the performance requirements of the Building Code of Australia. Think Brick Australia has announced finalists in the Horbury Hunt 2010 Award. International research shows a timber floor adds commercial value to a property. The Defender shade sail from retractable weather protection system specialist, Aalta Screen Systems, is a stylish way to cover any outdoor entertaining area. Vertical Blinds from Accent Blinds minimise the harsh effects of the sun while adding a distinct feature to any room.